Recent campaigns in Afghanistan and Iraq have demonstrated that American carrier air power can conduct coordinated deepstrike missions well beyond coastal reaches, providing around the clock target coverage, consistently accurate target attack, and multiple successful targer attacks per sortie. Benjamin S. Lambeth is a Senior Fellow with the Center for Strategic and Budgetary Assessments, a position he assumed in 2011 following a 37-year career at the RAND Corporation. A long-time specialist in international security affairs and air warfare, he has extensive flight experience in more than 40 different combat aircraft types worldwide and is the author of The Transformation of American Air Power. 10. 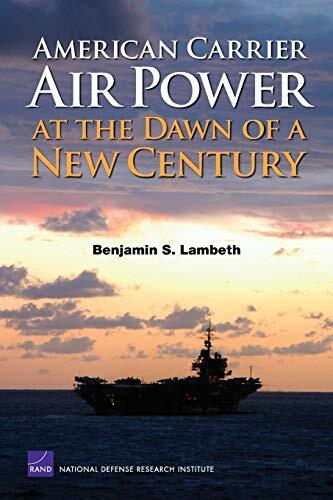 American Carrier Air Power at the Dawn of a New Century [Paperback] Lambeth, Benjamin S.